May 5, 2014. 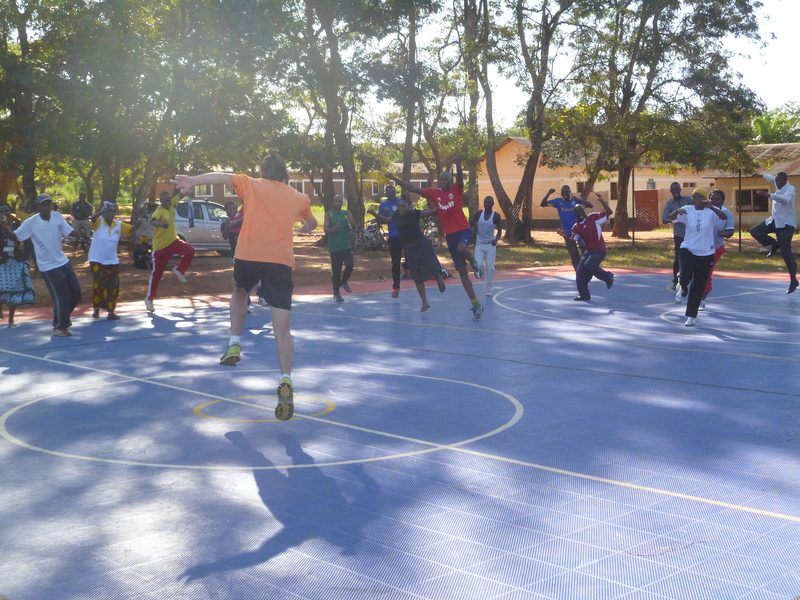 CAC returns home to the birthplace of our organization – Kigoma, Tanzania. 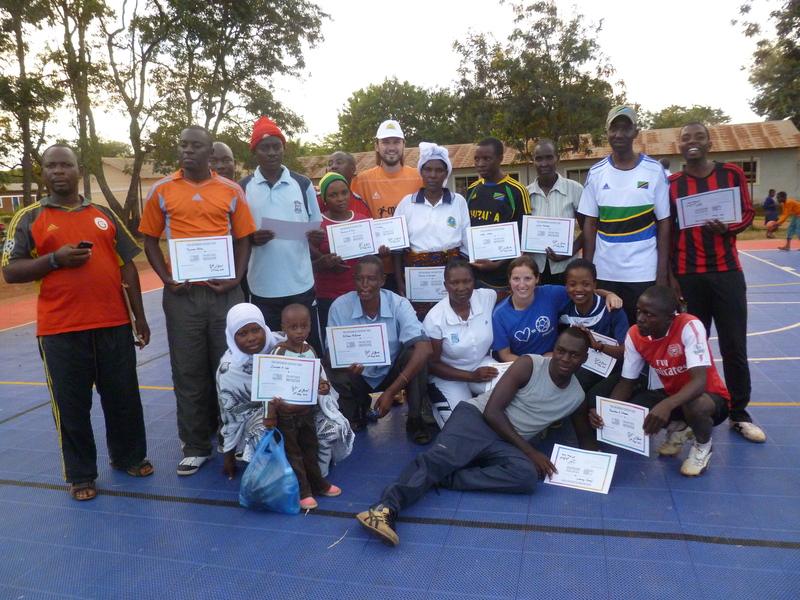 Markus Bensch writes about his experience in Kigoma as he continues his training with Staff member, Sophie Legros. After we finished with our programs in Uganda Sophie and I had one week time to complete the 850 km from Entebbe, Uganda to Kigoma, Tanzania. After we reached Bukoba on Tuesday we went on a 12 hour bus ride to Kigoma on Friday at 6am. It was one of the roughest bus rides for me due to bumpy, gravel roads which even left a bruise on my coccyx as a memory for the following week. But the very warm welcome by Mr. Peter Kilalo, the Sports officer, and Mr. Sombwe, the Cultural officer, of the Kigoma Municipality at the bus stop made me quickly forget about it. On Saturday we went to meet all the district school officials and introduce our program to them. Everybody was very excited about our program and a lot of people recognized us as CAC due to our 6 years of lasting cooperation with Kigoma. After we had time to rest over the weekend we started on Monday afternoon with 28 coaches and teachers for our first session. The training conditions were very good, because we could use the new pitch which was built in 2011 initiated by CAC. We had a good mix of returning coaches and newcomers. Some of the returning coaches remembered games they learned in the previous years like “Mingle Mingle” or “Ronaldo Skills”. 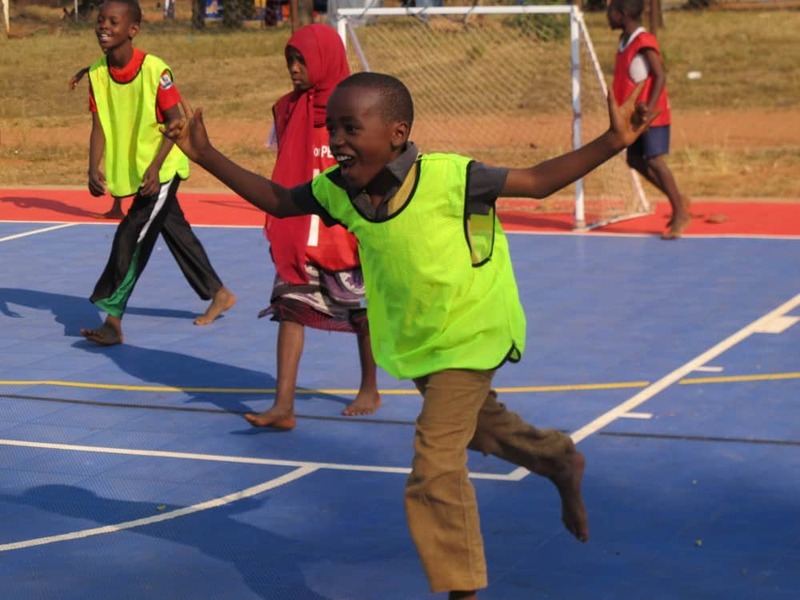 Due to the fact that it was our 7th year in Kigoma we could teach them any game from our three year Hat-Trick curriculum. Games like “Tim Howard for Gender Equity” and “Know Your Rights” they enjoyed the most and got very competitive. The first one is a handball game of two teams where they are only allowed to run with the ball at most three steps and the players can score by throwing the ball into the goal. It turned out to be a brilliant problem solving game where the players set up new rules to make the game more enjoyable. The 2nd game is a child rights game where you need fast thinking and quick feet, because the coach is yelling out different child rights which are associated to different corners of the pitch and two team members of each team have to run to the child right that is yelled out first or second respectively. The participants got again very competitive and had a lot of fun and the game caused a lot of confusion which gave us the opportunity to engage them to discuss strategies to solve their problems. We were positively surprised by the coach-backs on Friday. During the week we weren’t sure if they always understood the games and the social impact of them. During the coach-backs we could see that they really did understand and they even choose the more difficult games like “Can Adebayor see HIV” or “Know your rights” to practice coaching. Over all it was a successful week although we faced quite a big fluctuation in the numbers of participants, due to the fact that the teachers had an important meeting on Tuesday afternoon and on Thursday they celebrated the 1st May (Workers’ Day) which caused a reduced numbers of participants on both days. In total we welcomed 39 coaches during the week and we’re looking forward to hear from them about their successes in implementing and adapting the games in their weekly sports classes and football trainings. 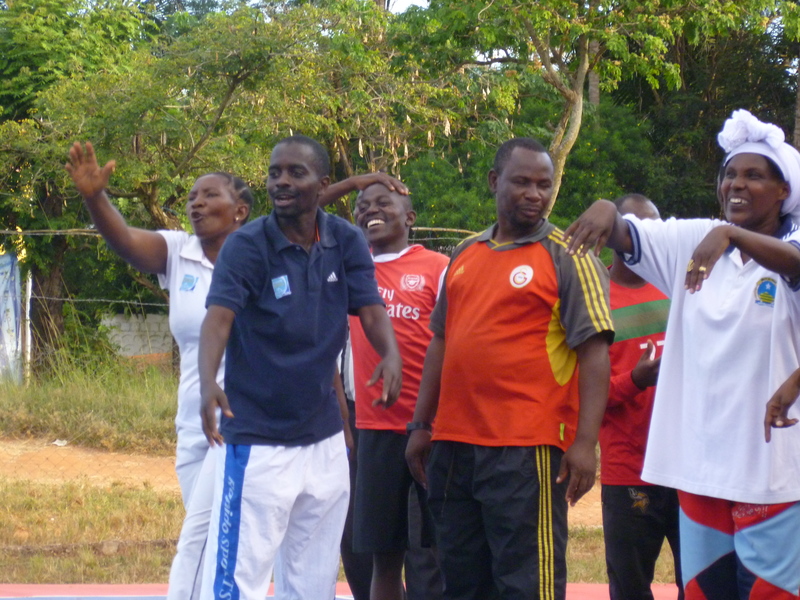 As mentioned earlier we saw in the coach-backs some very promising examples which make us excited about the future of the partnership with the coaches and teachers in Kigoma. By the way the bruise is healed and tomorrow Sophie and I fly from Kigoma to Dar es Salaam, so there should be no risk for bumpy roads and a bruised coccyx.